Jordan Trimble President and CEO, Skyharbour Resources Ltd.
Jordan Trimble is the President and CEO of Skyharbour Resources a publicly traded uranium exploration and development company on the TSX Venture. He has worked in the resource industry in various roles with numerous TSX Venture listed companies specializing in corporate finance and strategy, shareholder communications, marketing, deal structuring and capital raising. Previously he was the Corporate Development Manager for Bayfield Ventures Corp. which was acquired by New Gold Inc. in 2014. He has an extensive network of institutional and retail investors as well as resource industry professionals, and has appeared on BNN several times. 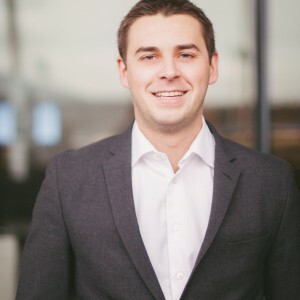 Mr. Trimble holds a Bachelor of Science Degree with a Minor in Commerce from UBC, and he is a CFA® Charterholder and has been quite active with the local CFA society in Vancouver.